The Holiday Season is a great time to splurge and enjoy yourself. Gourmet Christmas Gift Baskets are a great way to treat your family and friends to sweet and savory treats that they might not normally get for them self. I have found some of my favorite treats this way. 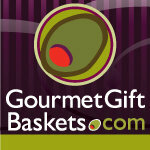 Gourmet Gift Baskets is a great company to purchase your basket from. They often donate gift baskets to the troops and communities in need. For our Holiday Gift Guide we were sent a wonderful Christmas Gift Basket full of delicious treats. 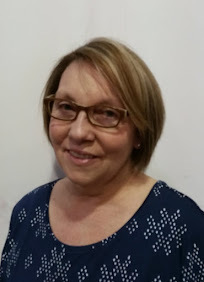 We were sent the Classic Christmas Basket gourmet snacks including a chocolate covered cherries, dark chocolate bar, chocolate chip cookies, almond clustered popcorn, raspberry honey mustard pretzel dip along with pretzels and so much more. I had a few favorites in the basket. I loved the Chocolate covered Cherries the most. My son loved the Chocolate Chip Cookies. The Cheese Biscuits were a bit strong in flavor to eat plain and even the box said they were great in a soup so I put them in a bowl of tomato soup and they were great. There was also an awesome Dark Chocolate bar that I used in a recipe for dipping treats in and for hot coco. Gourmet Gift Baskets makes a great present to send or bring to a holiday party. 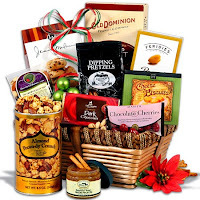 You can often find coupon codes on the Facebook and Twitter pages of Gourmet Gift Baskets. * I was not paid or compensated for this post. 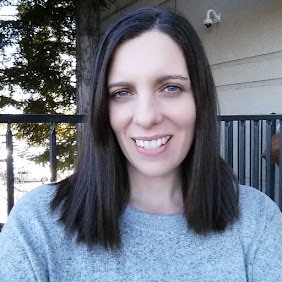 I was sent the Gift Basket pictured in this post for my review by the company. The opinions are 100% mine and may vary from others. I think in bad economic time’s food gifts are the best. I love how practical this gift is and it looks amazing. I will have to look at this for my in laws. Thanks for the review!